Rhythm Lab. Precise rhythm tapping designed for musicians at all levels. Stretch and expand your rhythm skills and understanding. Choose from a wide variety of built-in patterns or create your own. Create single, double, drum, or drumkit patterns. Customize the patterns, tempo, sounds, and experience to fit your needs. 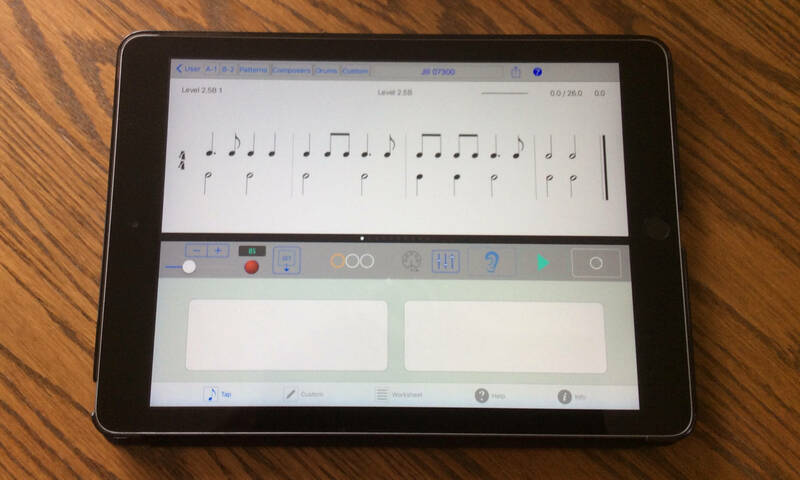 Tap into Audiobus and MIDI to expand the musical environment for a complete musical experience.